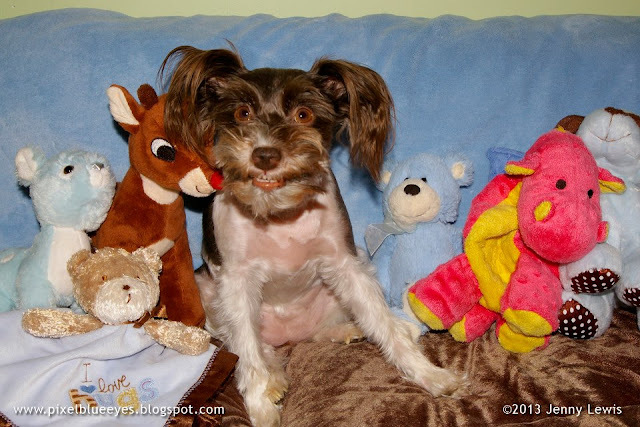 Pixel Blue Eyes - Her "Tails of Adventure": Mostly Wordless Wednesday - Chinese Crested Pixel? Well, you certainly have the ears!! Too cute! You've definitely got the ears, Pixel! too cute! Pixel. No. First, you have hair. Second, you have hair. Third, you're cute. No. Its very possible that pixel blue eyes has some chinese crested somewhere, im no expert but I do own my very own chinese crested : ) mine however is a powder puff and has hair all over unlike some of her brothers and sisters who were born hairless. Chinese cresteds have both hairless and powder puff babies in a litter...and I must say both powder puffs and hairless are just so freaking cute! 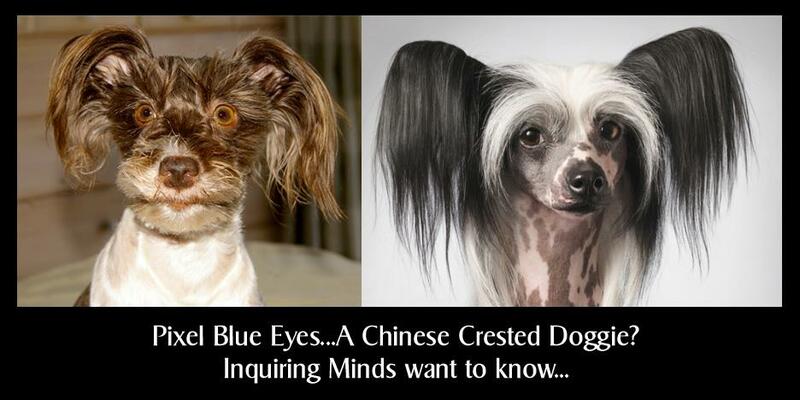 Just like pixel blue eyes :) what a cutie! !